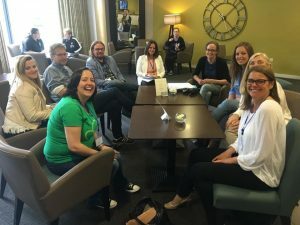 We had such a great time hosting the international PRT conference in Stirling in June that we haven’t had time to write our news story about it! On June 16th and 17th 2016 we were delighted to host Drs Lynn and Robert Koegel from the University of California Santa Barbara for a 2 day PRT Level 1 course. It was a fantastic event attended by delegates from all over the world. We were also very proud to host PRT groups from Norway and Holland who gave the conference a real international flavour when they presented on PRT services in their home countries. It was great to have so many wonderful people in one place and we look forward to furthering these links in the future.